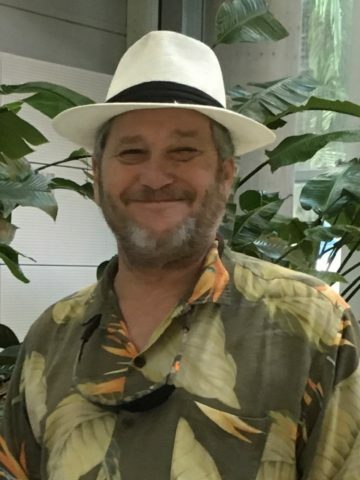 Rocky Raines, age 58 of Springfield and formally of Nashville, passed away on Saturday, November 24, 2018 at Summit Medical Center. Phillip Cecil "Rocky" Raines was born on November 5, 1960 to the late Steve and Georgia Lee Raines in Nashville, Tennessee. Rocky graduated from Cohn High School on Park Ave in Nashville. After graduation in 1978, he joined the United States Navy and survived his country for six years. He started to work in 1994 with Metro Water and was counting down the days until he retired in two years. His dream was to retire and move to Pensacola, Florida with Lorie. They loved traveling and visiting lighthouses; one favorite memory that was shared was a road trip they took from New Orleans along the Gulf Coast visiting the different Lighthouses, Lorie and Rocky then made their way up the East Coast from Florida to the Carolinas. He loved spending time with his grandchildren watching them grow, talking to Cheyenne every day and trying new restaurants every chance he had. Rocky will forever be remembering as an outgoing and adventurous person who loved to travel. He has left numerous of funny memories and a host of friends and family that will remember all the love he gave. In addition to his parents, Rocky is preceded in death by his sister, Brenda Barnard. He is survived by his partner of 8 years, Lorie Duncan of Hermitage; daughters, Cecilia (Josh) Smith of Troutman, North Carolina and Cheyenne (David) Davis, Clarksville; grandchildren, Addison, Natalie, Myla and Jace; sisters, Sue (Paul) McKinney Tabor of Ashland City, Dianne (Gary) Proffitt of Chapmansboro; Evelyn (Gary) Foust of Fairview; Charla Kaye Kelley, Franklin; Pam (Paul) Booth of Chattanooga; Cindy (James) Stevens of Springfield and Step-brother Robert Williams, Madison. A Life Celebration will be held on Saturday, December 1st at Joelton Church of Christ 3541 Old Clarksville Pike Joelton, Tennessee at 1:00pm. The family will receive friends on Saturday from 11:00am until the time of service. These arrangements were entrusted to Springfield Memorial Gardens, Funeral Home and Cremation Center 4005 Memorial Blvd Springfield, TN 37172 www.springfieldfh.com 615-384-5437. He was a great and funny guy. Steve and I wish to send prayer for healing to Lori and the family. I just found out about losing my good friend Rocky and I am completely crushed. Rocky and I became friends when we worked together for a few years. My heartfelt condolences to his family and to Lorie. Rocky and I would share life stories with each other almost every day at work. He loved you all so very much and was tremendously proud to have you all in his life. I loved him and I will miss him.